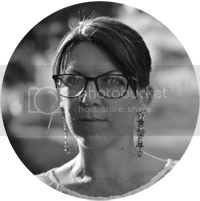 Working as an editor in Seattle, Dana Kline led a happy life. She had great friends, a career she adored, and her health couldn’t be better. But everything about it was mundane and safe. EVERYTHING. No gamble would have made her change her ways, so life was going to change it for her. After an unexpected release from her job and then finding out that she would become practically homeless for the summer, Dana gathered her courage and found herself ready to try a new life in Florida. The only problem was getting herself across the nation on a tight budget, hardly any connections, and an unadventurous self. After many stops along both coast lines Dana finds out that it’s okay to let her hair down, meet new people, and try new escapades. Just as long as her sanity doesn’t fly away with the seagulls. Hi Carli! Can you tell us a little about your latest book? The book is about a woman named Dana who finds herself somewhat homeless for the summer. She bounces from state to state house sitting for strangers until she gets to her destination in Florida where her new life is waiting to be started. The idea just popped into my head one day while watching “Friday the 13th”. I wondered what a timid woman would do while house-sitting and something went wrong (like an ax murderer in the neighborhood). In Dana’s situations she comes upon more bad than good. The cover was done by a wonder graphic designer named Scarlett Rugers. She took the ideas I had and turned them into the cover you see today. If we went with today’s hot actors I would say that Dana would be played by Jennifer Lawrence. Bella would be played by Zelda Williams. And for the list of unusual characters she meets along the way I could see people like Debbie Gibson, Tommy Lee Jones, and the list goes on and on. In a bunch of different places. I picked areas that seemed interesting and could see Dana, the main character, visiting them. The fun of it all. It’s nice to work hard all day and then to read chick lit. It’s like an escape. I love storytelling. That’s where it all starts. If it’s a movie or a tv show, it all started with a story. I actually have a list of 500 popular names and I go through that. When I hit the first one that sounds like it fits, I pick it. No, sometimes I come up with too many. They usually come to me before I’ve written the book or am halfway through. A Body to Die For by Kate White. In New Jersey you’re an hour away from anything, shore, mountains for skiing, the city, and casinos. I’m working on book number three (fiction) and four (cozy mystery) at the same time. I loved the premise of this book - the idea of staying in lots of different houses, by the water, for a whole summer sounds fabulous, right? Dana's first few 'stays' were brilliant but things seem to go from bad to worse, leaving her in all kinds of weird and wonderful predicaments. 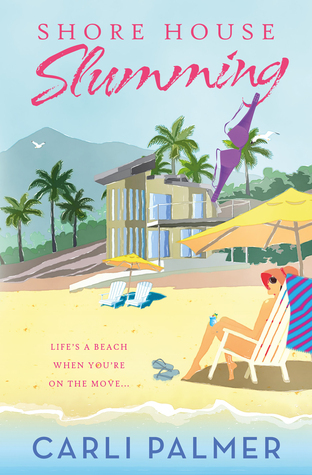 Shore House Slumming is one of those books to read on the beach - it's really easy reading and should certainly leave you with a smile on your face. However, there is a sense of there being just a little too much going on. I think had the author toned that down a little bit, and added more depth of character, it would have been a better read. I wasn't totally sold on the ending, either. I think it concluded too quickly - I wanted to get a true sense of how Dana really felt at the end of such an exciting summer. After all, she'd certainly been through a lot! Carli Palmer was born and raised in New Jersey. Her first novel was entitled Down The Aisle With Bridezilla. Shore House Slumming is her second novel. Besides writing, Carli is obsessed with coffee, horror movies, and the 80's - she can't get enough of the decade. She is currently working on her third novel. Twitter or e-mail. She loves to hear from readers.